INNOWOOD ALLFACE Natural Ventilated façade systems may also be referred to as rain-screens or double-skin facades as they have been developed to protect buildings against the combined action of rain and wind by counterbalancing the effects of water beating on walls and keeping the building dry. 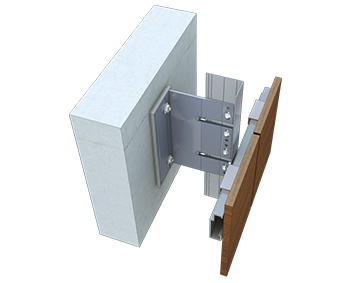 INNOWOOD ALLFACE Ventilated Facade concealed fixing system utilizes mechanical fasteners and mechanically undercut anchors as its fixing method. 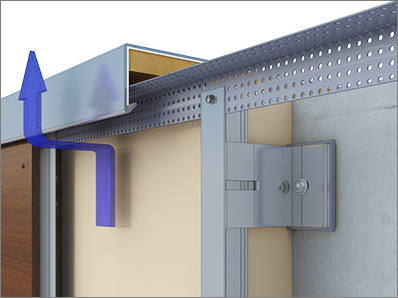 Concealed fixing systems are mechanically fixed by fasteners with INNOWOOD Shiplap cladding panel. 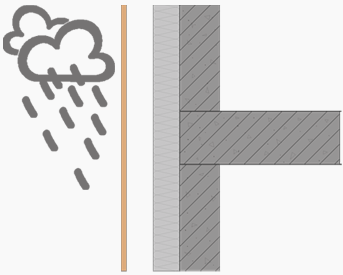 It is an economical, concealed and ‘installer friendly’ method of installing the cladding either vertical or horizontal. 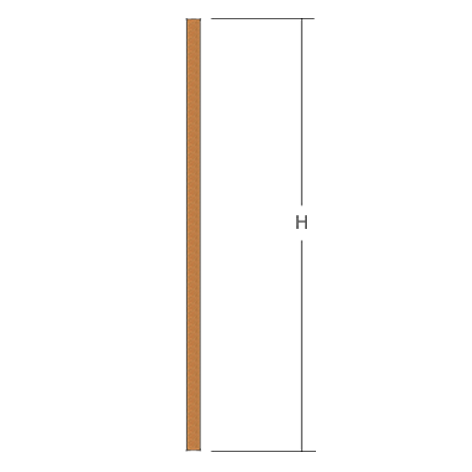 INNOWOOD ALLFACE Ventilated Facade concealed fixing system with undercut anchors. 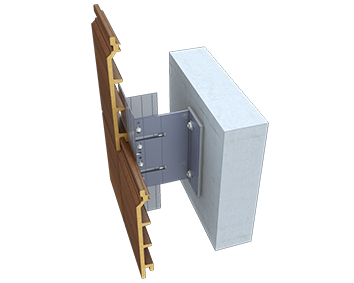 The backside of the façade cladding boards are provided with cleats with special bolts that are inserted into the undercut hole and fixed by tightening the screws. 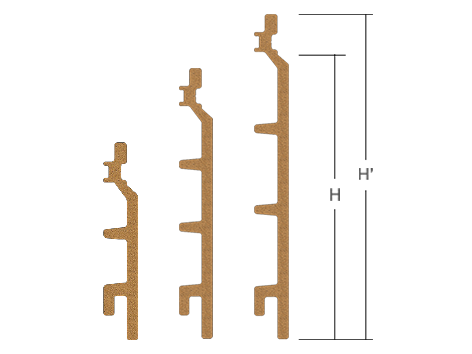 Each cladding element must be fastened with at least four individual anchors.  INNOWOOD Australia in partnership with recognised market leaders in the international façade industry "Allface Smart Fixing Systems" provide complete ventilated façade solutions to the market. INNOWOOD’s innovative composite timber cladding in conjunction with Allface Smart Fixing Systems provide the complete ventilated façade solution. 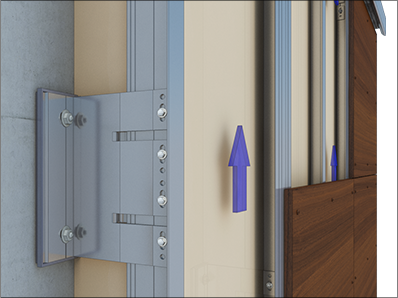 INNOWOOD Ventilated Façade Allface Smart Fixing System - allows you to choose from an endless range of designs, Material and architectural features. 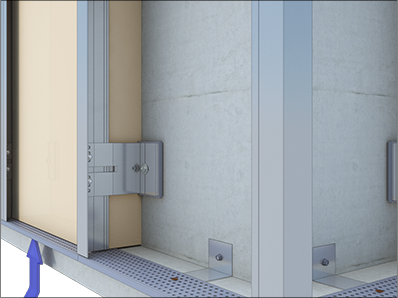 INNOWOOD Ventilated Façade Allface Smart Fixing systems offer intelligent solutions to meet any of your attachment requirements – visible or concealed, structurally bonded or mechanically fixed. 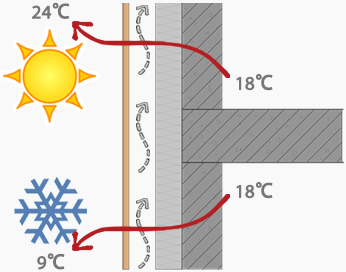 INNOWOOD Ventilated façade systems provide a highly energy efficient solution. 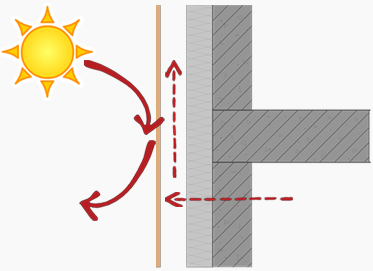 Less heat absorption reduce in the amount of heat that building absorbs in hot weather conditions from the partial reflection of solar radiation by the outside façade. 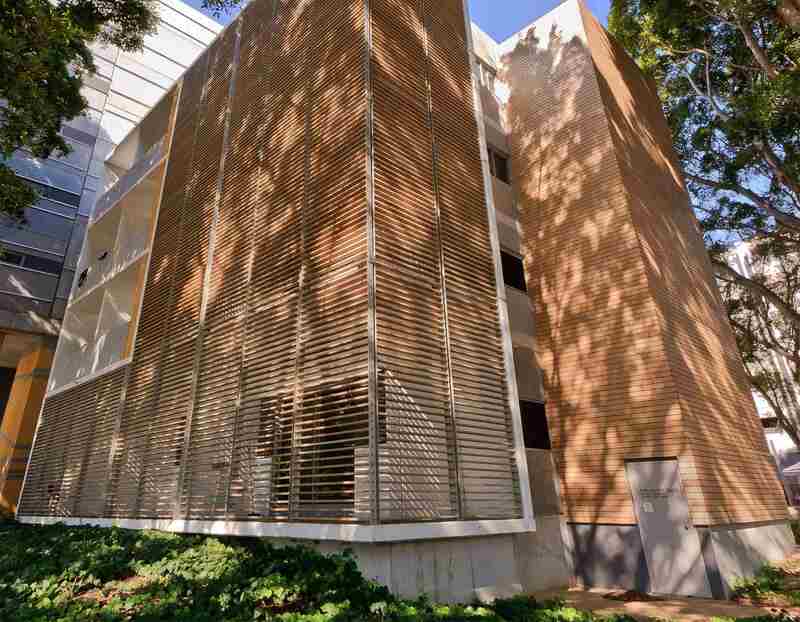 Ventilated façade systems provide an increase in the reflection of external noise, with a recent Australian project realising an average reduction of up to 8db. 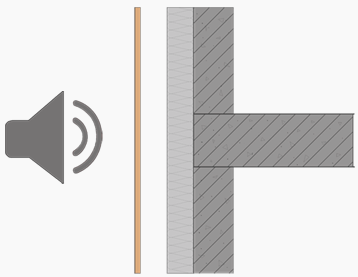 With the primary external noise sources affecting buildings being road traffic noise. INNOWOOD Natural Ventilated façade systems improve the temperatures creating a comfort inside the building. INNOWOOD offers a wide range of boards, colour and finishes which can add character to your building while improving overall aesthetics. 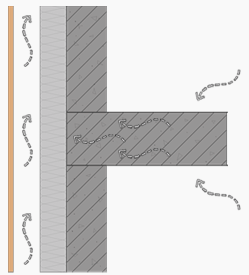 In addition to the protection a second façade provides against rain and wind, the natural bottom – to – top airflow through the cavity assists in elimination of moisture accumulation on the facade, preventing water ingress, helping to prolong the structural integrity and ultimately the lifespan of a building. INNOWOOD pre-finished product comes in your choice of either INNOVATIVE or PREMIUM Colour Ranges. The main difference between our two ranges is in the texture. The Innovative Range has a brushed texture included in the extrusion process which creates a linear grain like texture whereas the Premium Range utilises the latest technology to imitate a natural wood grain structure. 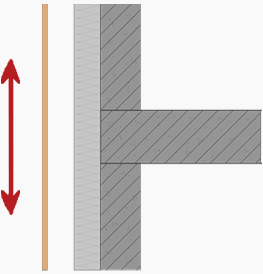 Surface Finish Options - Smooth and Brushed. ** Please bear in mind that colours may appear slightly different on delivery due to the lighting during photo shoot or different monitor settings.